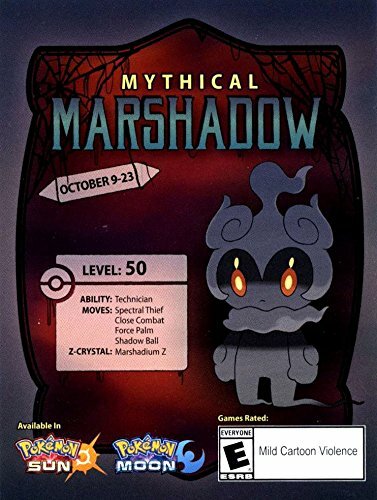 Marshadow was available at GameStop from October 9 – October 23, 2017. Today, February 23 2018, is the last day to use these codes before they expire. Only for use in Pokemon Sun and Moon, NOT in UltraSun or UltraMoon. First come, first served on these four codes. Good luck! This Marshadow comes at level 50, with the coveted skill Technician. This skill increases the power of moves which have a power of 60 or less by 50%. Marshadow also comes holding Marshadium Z, so it can use the special Z-move Soul-Stealing 7-Star Strike. Check out Marshadow on Smogun for suggested movesets, usage tips, team options, and more.